I swear it was just March, and now the holidays are right around the corner. Which means we’re all about to get real busy. 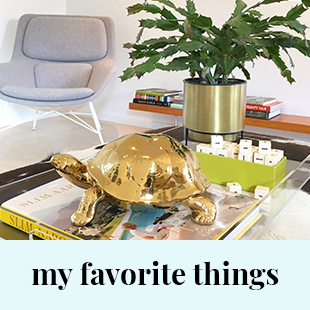 Decorating, planning, visiting family, making a list and checking it twice, and of course, figuring out the best gifts to give. No matter how old my boys get, I still find it challenging to figure out what they want, but also what they will actually use long after the holidays are over. That’s why play value is so important in choosing toys. 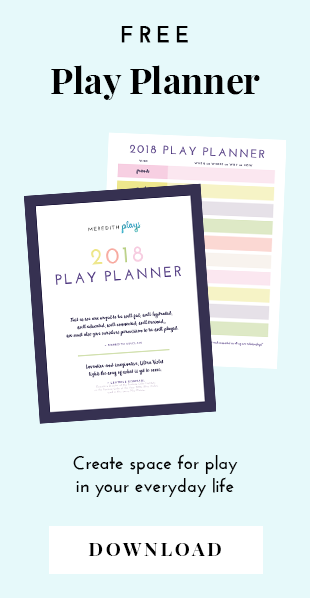 We also want to find toys that encourage imaginative play, because it helps develop social, thinking, and language skills, while also increasing creativity. 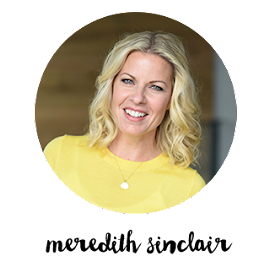 This holiday season I’m excited to share my favorite trending toys that will help get the shopping out of the way, which means you can go back to 100% family time, while inspiring imagination throughout the new year. We know that our kids love to make messes, and those toys with 40 tiny pieces are a special kind of mess. Having them help with cleanup can be quite a challenge. Enter Mr. Dusty! With over 50 fun sounds and phrases, and a BIG personality, this toy is the spoonful of sugar that makes cleaning up fun. Kids can gather up their toys on carpet or hardwood by driving Mr. Dusty over top of them and use his motorized mouth to help eat up the larger toys. 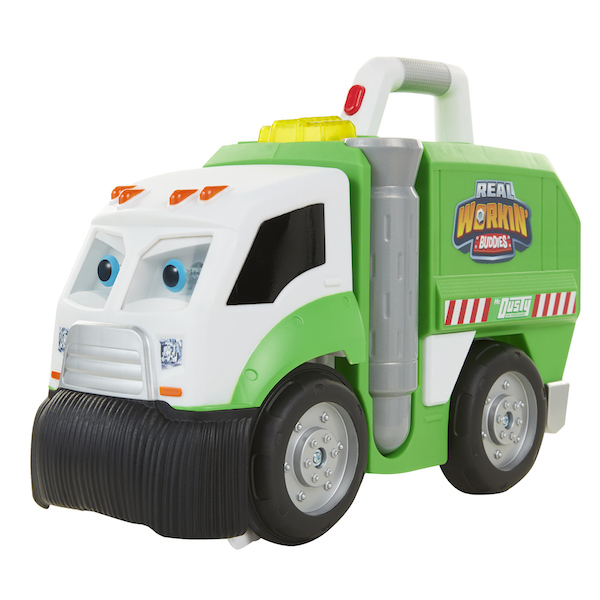 I love this toy because he has multiple play modes: he’s a Garbage Truck, a Street Sweeper, and a Dump Truck, so he’s sure to be a top hit in the toybox for a long time. 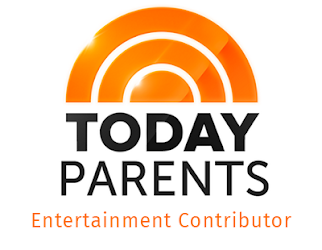 It’s always a huge win for parents when we can extend learning into playtime. When children are really enjoying what they’re doing, they absorb the material more and start to form passions and hobbies. Robotics U is a robot that allows children (and adults too!) 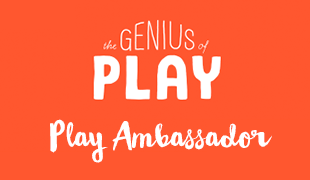 to explore the world of robotics and STEM through builds, games, and activities. 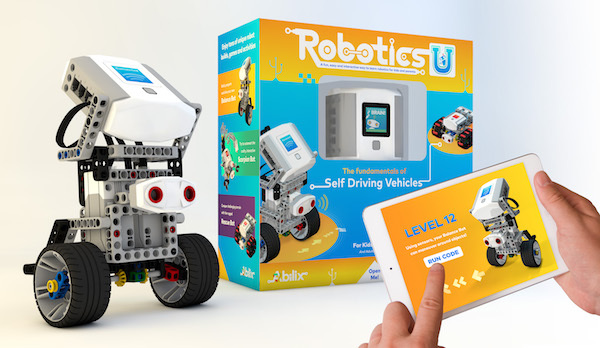 Use the free app to build your robot, program it, and play with it. Robotics U is designed to demystify technology by using elements that we use everyday in our world. And the best part is, your kids can play with it over and over again by building new robots with step-by-step instructions in the app or building something out of their own imagination. When my boys were young they were obsessed with LEGO. I can remember always picking up a new set for any occasion–birthdays, Christmas, etc. To this day, I still catch them reminiscing and pulling out their favorite sets from when they were younger. If you have young kids I’m sure you know about LEGO’s latest movie, The LEGO Ninjago Movie. This set is a perfect way for your kinds to extend the Ninjago world into their play and recreate scenes right at home. The set features a highly detailed Green Ninja Mech Dragon with a minifigure cockpit and snapping jaws, and favorite characters The Green Ninja, Master Wu, Garmadon, and Charlie–all represented in LEGO minifigure form to really let imaginations run wild in storytelling. The play value in collectibles is like no other. Not only are they toys, but they are crucial parts of a child’s treasured collection. Children take care of their collectibles and take great pride in them. Hamsters in a House has become a huge hit lately, and if you saw these adorable little motorized hamsters buzzing and scurrying around, you would completely understand. This year, Hamsters in a House has taken part of the big food-theme trend and released Series 2: Food Frenzy. The key piece is Ham’s Burger Diner Playset which includes adorable details like a real-working turntable for food orders and a cash register. 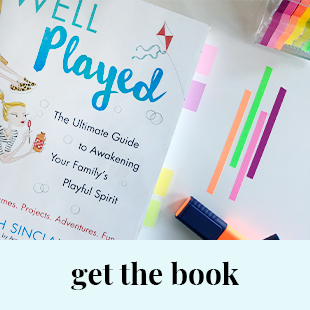 As a toy expert I try to find toys that will grow with your child, and this is especially true for younger kids who blow through milestones and change before your eyes. 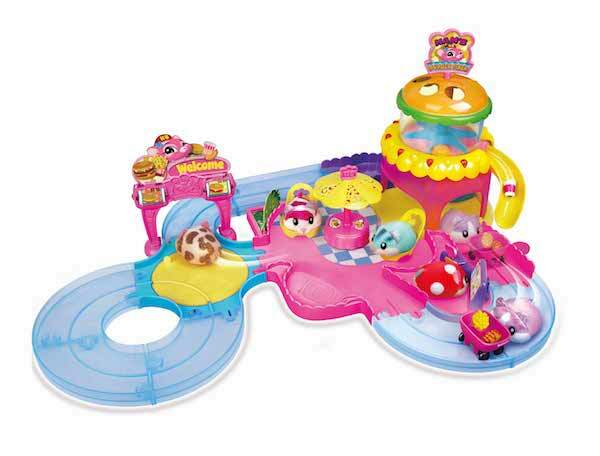 VTech is a brand that has really mastered creating toys that grow with kids from infants to toddlers and beyond. 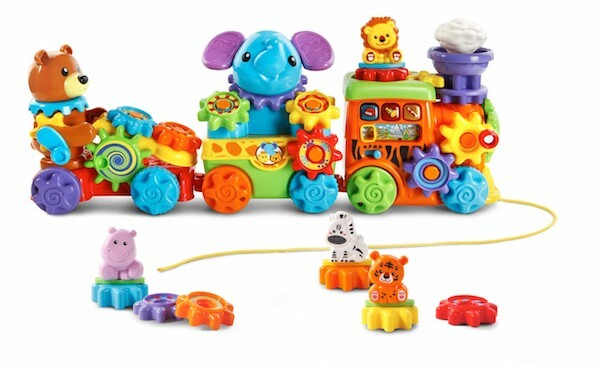 VTech’s GearZooz Roll & Roar Animal Train is customizable, with 15 included gears that they can mix and match with, while also strengthening their fine motor skills. 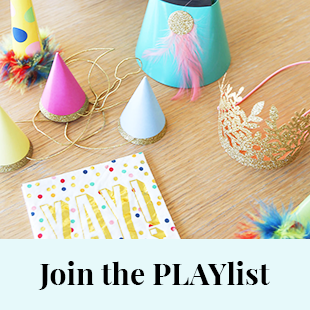 There’s so much to do with it, it can be pushed, pulled, plays fun songs, phrases, and animal sounds, and even has kid-friendly quiz questions! This one is definitely a toy that kids will truly treasure and pass on to younger siblings and cousins, making it a great investment. When we’re able to bring the familiarities of a child’s favorite show into their toys, we can really capitalize on the love for their favorite characters, and KNOW they’re getting a toy that they’ll keep going back to. From the creator of Doc McStuffins comes Vampirina, a show that since it’s release in October is already receiving rave reviews from both children and parents. 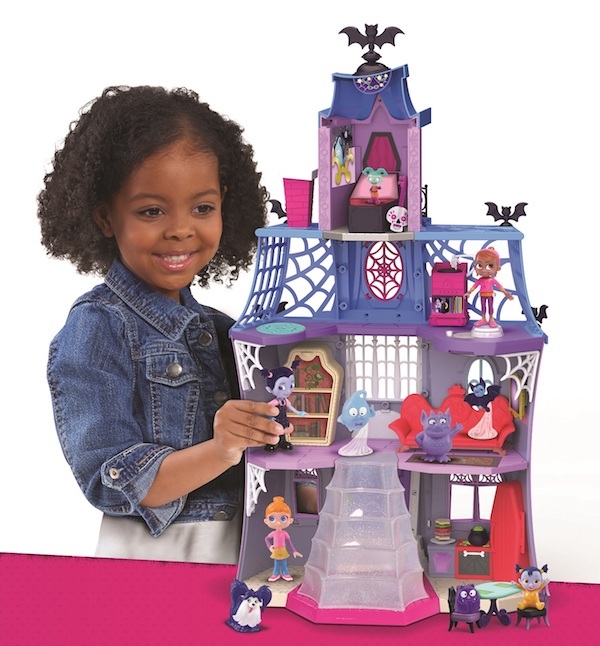 The Vampirina Scare B&B Playset is based on the home in the show, and includes Vampirina and her best friend Poppy. It’s three floors of spook-tacular surprises and exciting features that recreate the fun from the show, and includes fun little details like a spot for Vampirina to hang (and glow!) upside down, magically rising food in the kitchen, a record player that moves and shakes when Vampirina dances, and a 360° spinning TV! 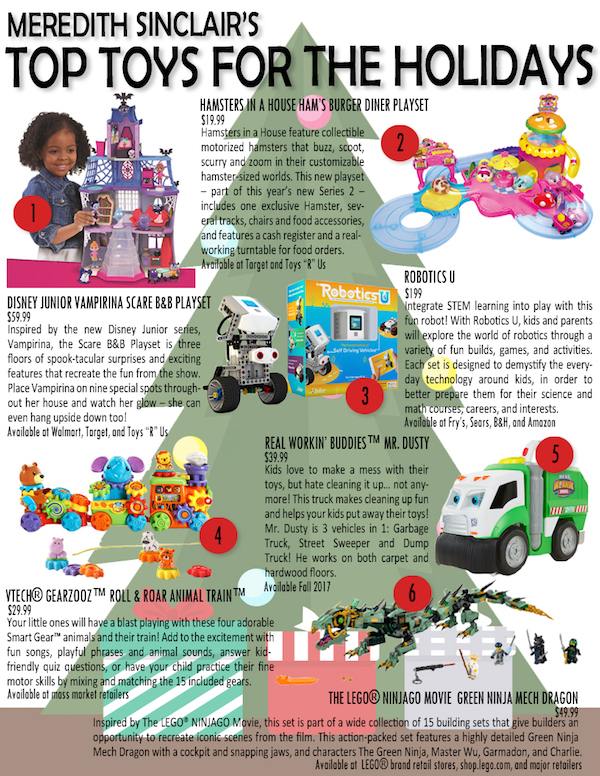 For more holiday gift ideas, be sure to follow my Pinterest board for the top toys of 2017.